The Nets have not had a season to write home about so far, but perhaps facing a Milwaukee team that is having a more miserable campaign will turn their fortunes around. Brooklyn will try to avoid their fifth loss in a row after an embarrassing blowout loss on Wednesday, losing to the Chicago Bulls 95-78. The game dropped them to 9-19 on the season and notched a season-low in field goal percentage at just over 35 percent. Despite the team getting healthier in recent weeks, it has been an uphill struggle. 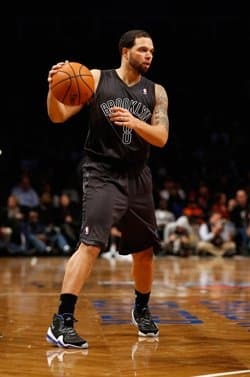 Deron Williams has shoulder much of the scoring load in this struggling offense. Center Brook Lopez’s broken foot has put him out for the rest of the year and hurt the Nets ability in the paint on both ends of the floor. Milwaukee is one of the few teams having a tougher season than the Nets. They are a terrible 6-22 and are coming off an 111-110 overtime defeat to Charlotte on Monday. Brandon Knight scored 26 in the loss and dished out a career-high 14 assist. One thing that will help their chances is the return of center Larry Sanders. He will be an instant boost to an offense that is last in the league in scoring and field goal percentage. These two teams met on Dec. 7, a 90-82 victory for Brooklyn. Brook Lopez, who is out with injury scored 32 points in the Nets’ win. Milwaukee is intriguing in this spot, especially getting five points. Their ability in the paint will be much stronger with Sanders, and despite not being rewarded with wins; the Bucks have been in most games over the past few weeks till the final seconds. In the first matchup, Lopez dominated inside and led them in scoring. Brooklyn will have no such presence tonight, and will struggle to rebound and score in the paint. Milwaukee has lost three out of their last four games in overtime and is hungry for a win. The Nets have been terrible this season at home and have no right to be 5 point favorites against even the NBA’s worst teams. The Suns are having a heck of a season as they take on the Pacific Division rival Golden State Warriors on Friday night. Phoenix has had the best December out of any team in the NBA, winning eight out of their last nine games and moving into second place in the division ahead of the Warriors. The Suns improved to 17-10 with a 117-90 beating of the Lakers on Monday. Golden State has been hot as well. They, like Phoenix, seek a fourth straight win after a physical 105-103 win against the Clippers on Christmas Day. Two players were ejected, including LA’s Blake Griffin and the Warriors Draymond Green. The win improved their record to 17-13. These two teams faced off on Dec. 15th in Phoenix, a game the Suns won 106-102. Stephen Curry scored 30 in the loss, and the Warriors turned the ball over 20 times. I love this line for the Suns. They are well rested and are playing their best basketball of the season and will be ready to run and gun with the Warriors tonight. They are an excellent road team as well, and have an excellent chance to win this game outright. This one should also be a high-scoring shootout, so I am favoring the over, as well. The defending Champion Miami Heat will take on the Kings on the first leg of a back-to-back road stretch, which features a Saturday night matchup against the Portland Trailblazers. The Heat will play 11 of their next 14 games on the road, and have adopted a strategy of resting All-Star point guard Dwyane Wade in recent weeks to preserve his body for the playoffs. Wade’s absence has seen Miami struggle, however. They are 22-6 overall, and 8-4 on the road but are 1-3 when Wade has rested or been injured. Wade looked spry on Christmas Day though, playing for 39 minutes and scoring 23 points on 11 of 17 from the field, propelling the Heat to 101-95 win at the Los Angeles Lakers. There are rumors he may rest tonight with another big game with Portland coming tomorrow. The Kings, despite trading for Rudy Gay several weeks ago are headed in the wrong direction. They have a tough stretch coming up as well that features contests against Miami tonight, Houston and San Antonio. Their record dropped 8-19 after losing 113-100 against New Orleans on Monday. The Kings have lost six out of their last eight games. I do not have much faith in the Kings, but they do play better at home and will be eager to get after the defending Champions. Wade sitting would be lovely, but we will not know until close to tip off if that will happen. Regardless, Miami is a team that is so talented that they can go through the motions in a sense. Already destined to be locked in as a No.1 or No. 2 seed in the playoffs, few games have much meaning to them in the regular season. The line is generous for a home dog at +8, as well. This is a decent look-ahead spot for Miami, and I think Sacramento takes advantage.